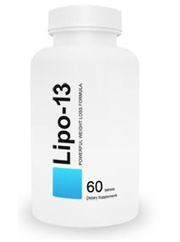 Lipo 13 (UPDATED 2019): Is It Safe? Lipo 13: Is It Safe? Sold as an all natural way to reduce weight and even included is the supposed ability to increase mood, reduce accumulation of fat and diminish hunger. Lipo 13 is manufactured in France with a website that has plenty of information on the details of their brand. If everything stated is true then this product has a lot to show for itself. Let’s separate fact from fiction and look at what it can offer. Ecopharma is an international company that features a long list of health and nutrition supplements. They offer shipping across the world and have a health blog with several articles. A quick summary is offered that claims this product detoxifies and makes it easier to reduce the amount of food taken in while diminishing fat from building. It all sounds good in theory but without any backings from legitimate science beyond quick snippets of claims it calls into question if there were any tests done. Four customer pictures are shown but they offer no mention as to who the people are and it’s unclear whether or not they experienced gains from this product or if it’s stock photography. Unfortunately there’s many sources of caffeine inside this brand without mention as to the amounts so customers are left to experiment with safe dosage strengths. Currently in existence are alternative all natural weight loss supplements formulated to make a difference in your life. Citrin HCA: An extract of Garcinia Cambogia. Studies have been completed in humans though the studies showed often any changes in body weight or hunger were insignificant to non existent. Green Tea: An antioxidant powerhouse with levels of caffeine that may increase metabolism. Forslean: Patented extract of the Coleus forskohlii plant commonly used for several ailments in Asia. Lacking evidence supports its function. 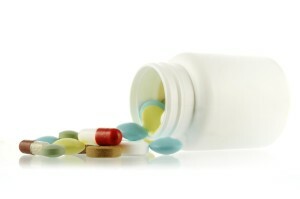 Side effects can increase heart rate and cause headaches. Guarana: A stimulant containing caffeine. Information is limited and proof of aiding weight loss is lacking. Yerba Mate: Typically brewed as a tea this plant can reduce the levels of bad cholesterol. With caffeine present it can be difficult to those sensitive. BioPerine: An extract of black pepper that helps in providing a boost to other supplements ingested. L-Carnitine: An amino acid that is created by the body. It helps in reducing the storage of fat but typically it is only recommended by those with a rare deficiency. Choline Bitartrate: A vital nutrient found in various food sources. Being deficient in this can lead to liver complications. Typically people consume enough to stay within a healthy range. Magnesium: An abundant mineral found in large doses throughout the body. It is essential in order to regulate the body proper. Often complications will occur if it is lacking in the body. L-Tyrosine: An amino acid found in several foods. In terms of mental focus studies are mixed with many saying it is effective only in high stress situations. Zinc: A vital metal needed for the body to work effectively. It is not advised to be used long term as a supplement. Vitamin B6: Works within the body by regulating metabolism. Thiis vitamin is found in various foods but in supplement form there are potential risks of toxicity. Chrome: A metal that is necessary for human health. It is said to reduce bad cholesterol in supplement form but studies have shown mixed results. Potential Side Effects: Elevated heart rate, increased blood pressure, fatigue, anxiety, headaches, nausea, sweating, anxiety, paranoia, kidney problems. Website is easy to navigate and displays their full list of ingredients. There are no ways to verify before buying this product what exactly you’re in store for. The ratio of ingredient is not listed, levels of caffeine are unlisted, verified scientific trials are unfound and the 14 day money back guarantee isn’t long enough to verify how effective this product is. Equally troublesome is the reported scientific report which says that it is popular in France. Popularity does not equal effectiveness and it’s not factually correct to label it science. There are many claims that have no backing to support this products effectiveness. There is a random link to a Wikipedia article that talks about Garcinia Cambogia yet the article itself mentions that this ingredient is still lacking to support use. Even more concerning is the fact that Garcinia was banned in the country that manufactures this product. Many claims and no necessary evidence to back them up is one of the huge reasons why this product isn’t up to par. It’s great that the website offers a little bit of information on several things but the information is completely lacking and forces the customer to do their own fact checking. So far the ingredients listed have little to no productive effect according to several studies. There is too many uncertainties and glaring questions that remain unanswered. In order to stop any of the second guessing and unknown truths you can find productive weight loss products catered to fit your demands. Instead of spending time on supplements that are uncertain and without stated evidence, you can now easily find alternatives. Make the switch to an effective weight loss treatment that can aid you. Whats better than Lipo 13?